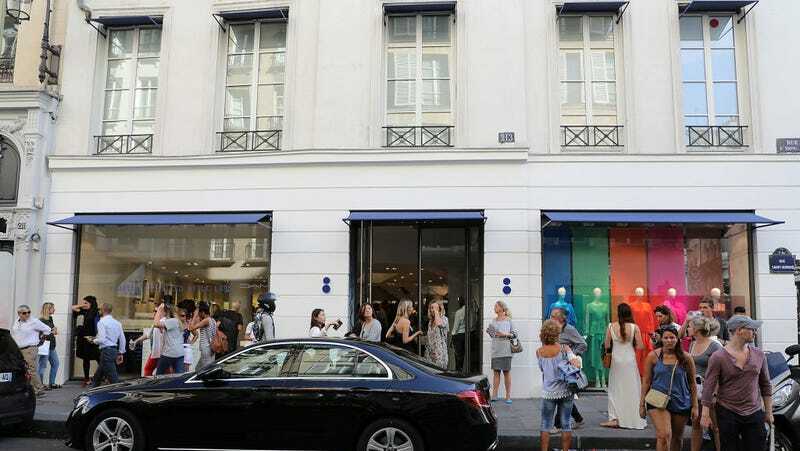 Colette, the über-cool Parisian concept shop where you could always pick up your favorite Margiela perfume and some weird overpriced Japanese toy, is closing after 20 years. The store, which was a go-to for the fashion crowd, posted a statement on Wednesday that announced the store’s founder Colette Roussaux would be retiring. “Colette Roussaux has reached the time when she would like to take her time; and Colette cannot exist without Colette,” read the statement. Colette’s eclectic tastes manifested in collaborations with people and brands like Kanye West, the artist KAWS, and Vespa. One time they even imported Target’s Proenza Schouler line to sell in the expensive boutique. And the tidy, colorful store was responsible for giving Rue St.-Honoré, which is lined with upscale stores like Hermès and Goyard, a little edge.